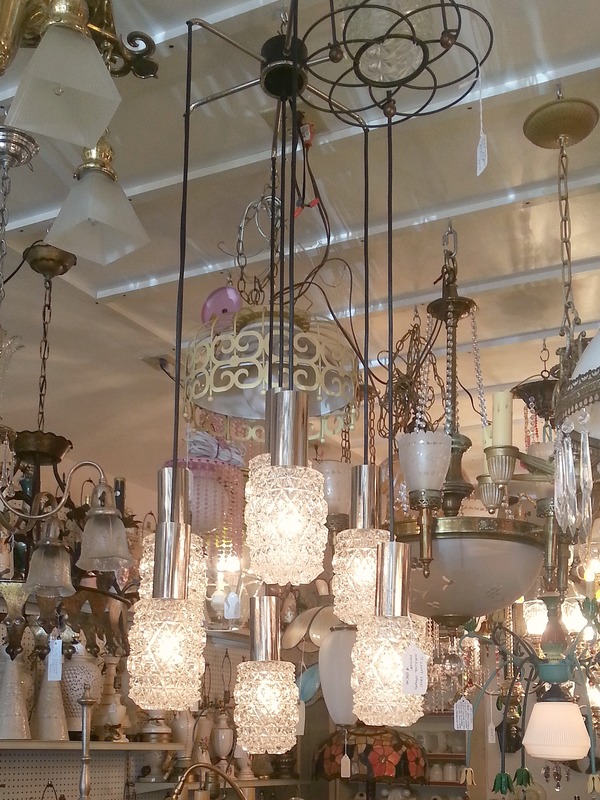 We had to stop into one of my favorite stores today, Cody's Lighting in the Phoebus section of Hampton. 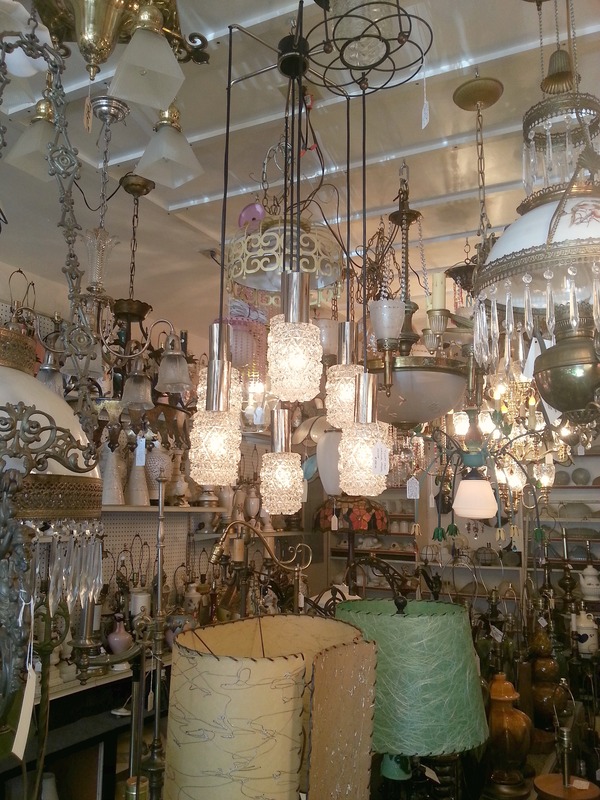 I blogged about Cody's here and shared lots of pictures of this treasure trove of vintage lighting. We were there just to drop off my FIL's lamp for repair but of course I had to have a look around. I’m with you on the chrome and ice globes. Yes yes yes.